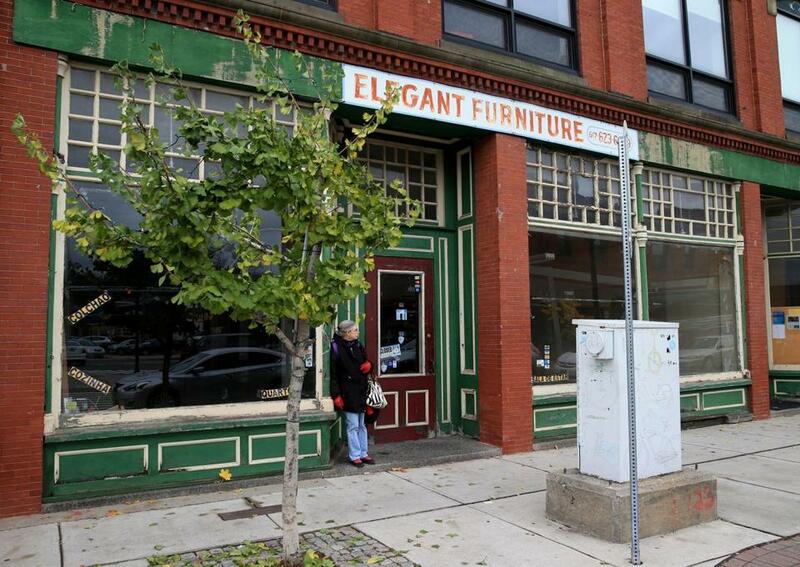 Elegant Furniture closed this fall after the owner learned the rent would jump. SOMERVILLE — The owner of Elegant Furniture closed his store this fall after the rent shot through the roof. Capone Foods is charging more for its handmade pasta to cover soaring local tax bills. Riverside Motorsports left its home of 35 years and moved out of town. The business owners and residents of Union Square are living through the turbulent early stages of big neighborhood change. The Green Line Extension project promises to deliver new public transit service to the square by 2017, and city officials are drawing up ambitious plans to redevelop seven nearby parcels, some of which could be taken by eminent domain. 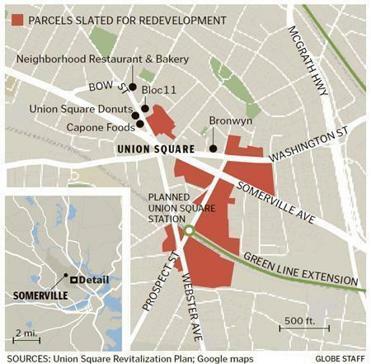 Even Somerville — a city defined by its reputation as a funky, affordable home to both hipsters and immigrants — is now struggling to manage the forces of gentrification predictably moving into Union Square. Curtatone said city officials are keenly aware of community concerns — starting with affordable housing. But people there are also thinking about jobs, open spaces, and a possible influx of national retail chains, he said. The subway’s first expansion in nearly 30 years will test a theory. Are homes near transit stops as valuable as beachfront retreats? Union Square Station Associates, an amalgam of developers, investors, and consultants chosen by the city, will draw up the blueprint to improve the seven parcels targeted by the city. But the master plan is a one-year process that’s just beginning. Some recent changes are surely welcome. New restaurants like Bronwyn and Bloc 11 are popular additions to the area. Union Square Donuts moved a few doors down Bow Street last month to new digs that can accommodate expansion plans. Gracie’s Ice Cream just opened last month. Bike lanes stand out thanks to new green paint. But many people are already feeling the squeeze of a rising cost of living and doing business. Rents for apartments and commercial space are climbing. City revaluations of Union Square properties are driving up real estate tax bills. Omar Alay, the owner of Elegant Furniture, said he was notified earlier this year that the rent for his store was about to go up by 80 percent. Alay said he was prepared to sign a new lease, but then learned he would have to pay for a new sprinkler system as well. He could not afford both, so he left. Nearby, the longtime location of Riverside Motorsports is now empty. Owner Carlo Maugini-Hansen said he received a letter from the city last year informing him the property would be redeveloped and could be taken by eminent domain. He moved the motorcycle dealership to Medford in May. “Now, the place will be empty for four or five years,” he said. But what businesses eventually move into Union Square remains an open question. A spokesman for the city’s consultants said developers are meeting with restaurant and bar owners to understand what they need to remain successful in the square and potentially expand. The city is also working up a Community Benefits Agreement, a document intended to hold developers accountable to fulfill community requests, such as affordable housing and jobs, in return for public support. But Curtatone said the city is “nowhere near executing” an agreement. Union Square community advocates said they have only started talking with city planners about it. Some longtime business owners say they will find a way to stay put. Sheila Borges, who owns her family’s Neighborhood Restaurant & Bakery of 31 years, said the business will start opening for dinner if necessary. Her family owns the building, which is not located on a parcel slated for development. Nearby, Union Square Donuts co-owner Heather Schmidt is looking forward to the future. “I think there’s room for everyone in the square,” she said. • Will the Green Line Extension make Somerville real estate go crazy? 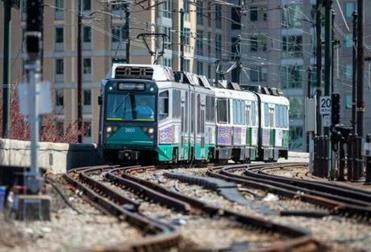 • Will the Green Line Extension have a positive impact in Medford? Naomi Kooker can be reached at naomikooker@gmail.com.